Levi has a wide variety of toys given to him by family and friends. He loves them all to varying degrees depending on the day. 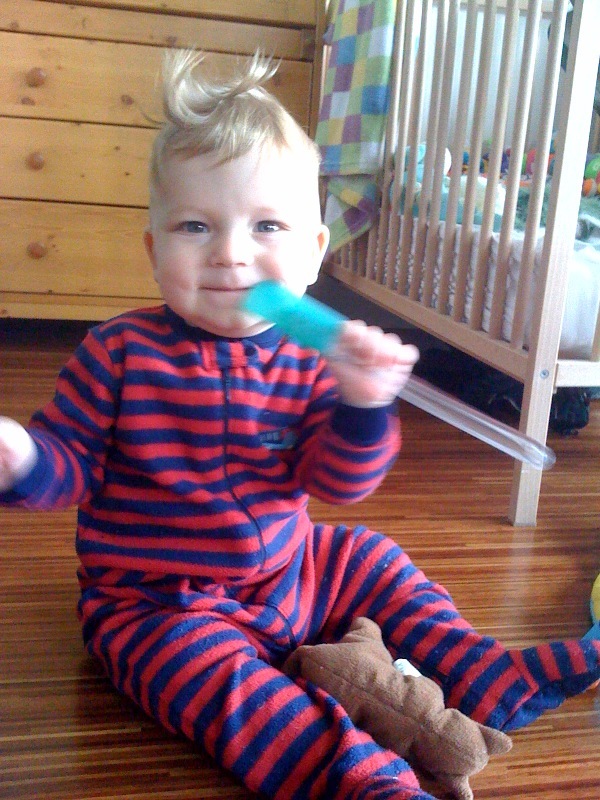 But he also loves things that just happen to be around the apartment-like a spatula! I don’t think the children’s spatula market will overtake the empire that is Fisher Price anytime soon, but you never know.